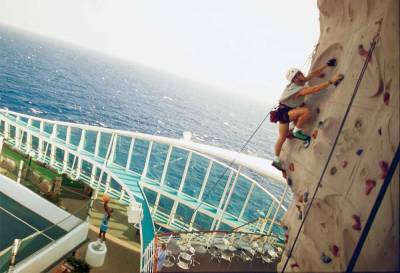 What are Royal Caribbean Virtual Balconies? Royal Caribbean offers virtual balconies for passengers on some inside cabins. What is a virtual balcony though? A virtual balcony is a floor to ceiling HD screen that looks just like a balcony view. 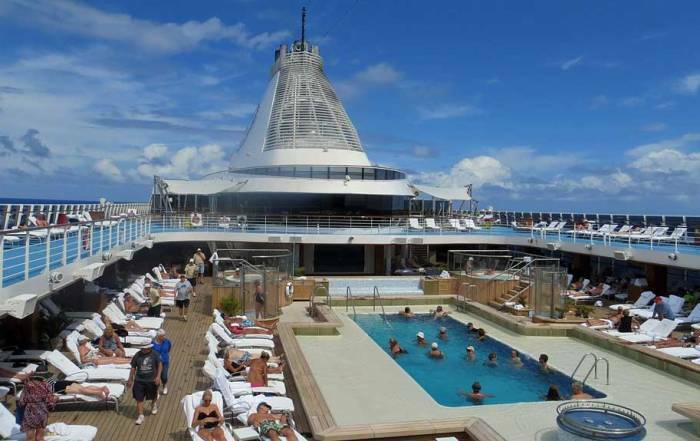 The screen shows a real time live view of what’s going on outside the ship during your cruise. Cameras mounted on the ship provide high quality live streaming. If you leave the screen on at night, you will notice the light coming in from the virtual balcony in the morning. 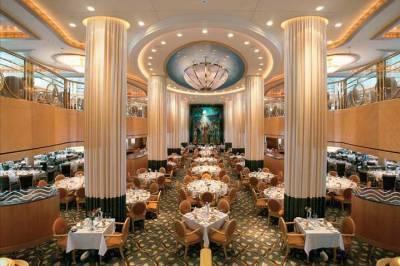 Just in case you aren’t clear, these are not balconies, they are inside staterooms. Which Direction do the Cameras Face? The cameras are easier to mount forward or aft. The virtual display usually installs more easily on a forward or rear facing stateroom wall. You might tend to get motion sick if your view doesn’t match the motion of the ship. It’s not a good idea to have the view rolling right and left if you feel the motion actually going up and down instead. Some ships now have virtual balconies facing starboard or port. In the future, you can expect to see an option to switch your view. This would be a great idea for those annoying port days when your balcony faces directly into the side of another cruise ship. 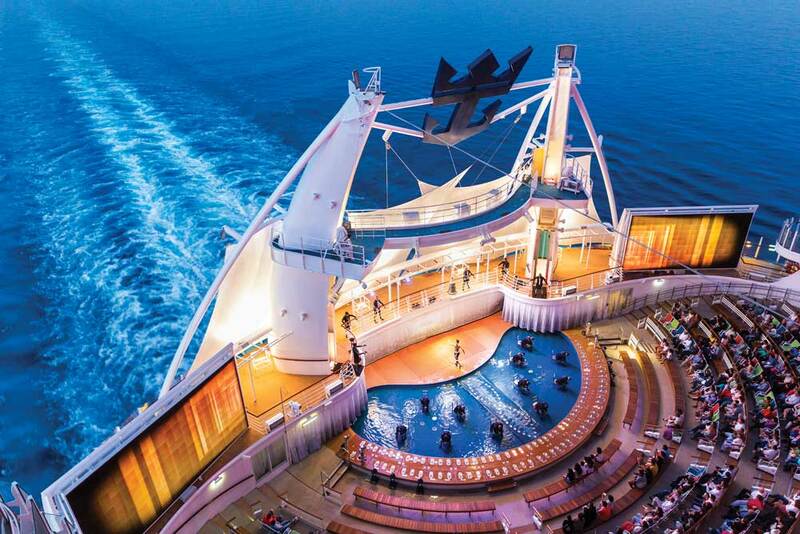 Why do People Love a Royal Caribbean Virtual Balcony? The screen is floor to ceiling and it gives you a real time view of what’s going on outside. The price for a virtual balcony stateroom is a lot less than a real balcony. It’s nice to wake up to light in the morning or figure out the weather with a quick glance. You can turn the display on or off whenever you want. Sounds from outside can be heard too or turned off. You don’t get salt spray on your window or wind whistling against a balcony door. You don’t hear your neighbors balcony doors opening and closing. Which Royal Caribbean Ships have a Virtual Balcony? Every inside cabin on the Anthem, Quantum and Ovation of the Seas has a virtual balcony. Royal Caribbean International (RCI) has revolutionized cruising with the addition of Oasis Class ships to the RCI Fleet. 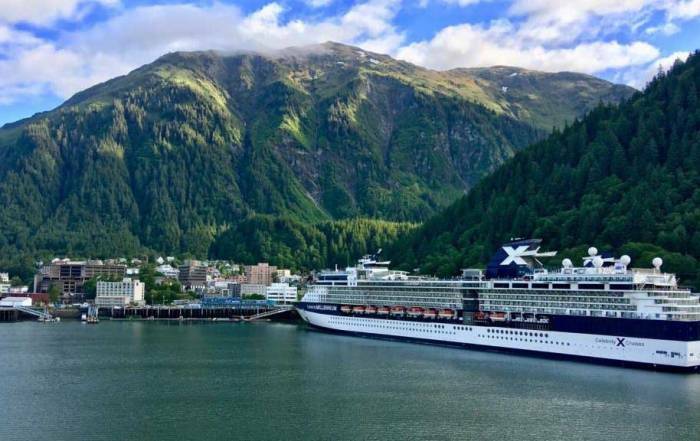 These ships are floating cities with over 6,000 guests. For these guests, the destination is not as important as the onboard experience. With a myriad of activities for guests, Royal Caribbean has built the ideal ships for family vacations. The spacious parks and restaurant areas are combined perfectly with entertainment venues. This creates an atmosphere that turns the ship into amusement park. 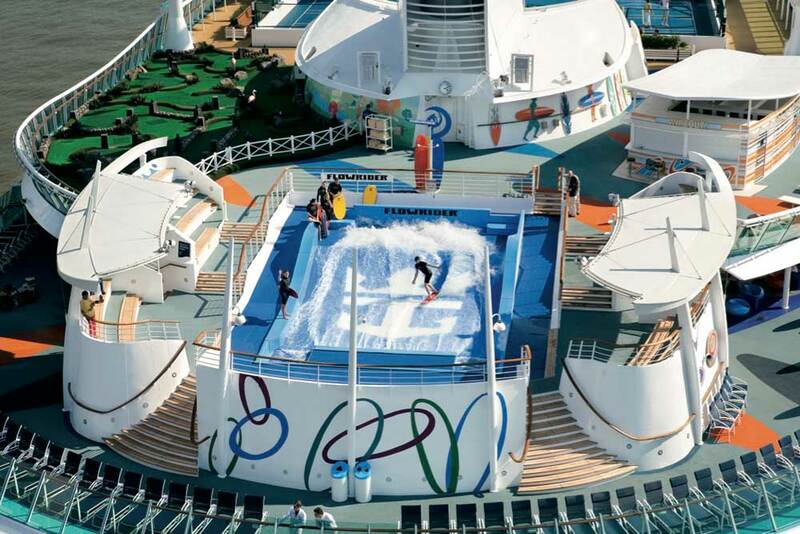 Royal Caribbean has built some of the best cruise ships in the industry for teens. 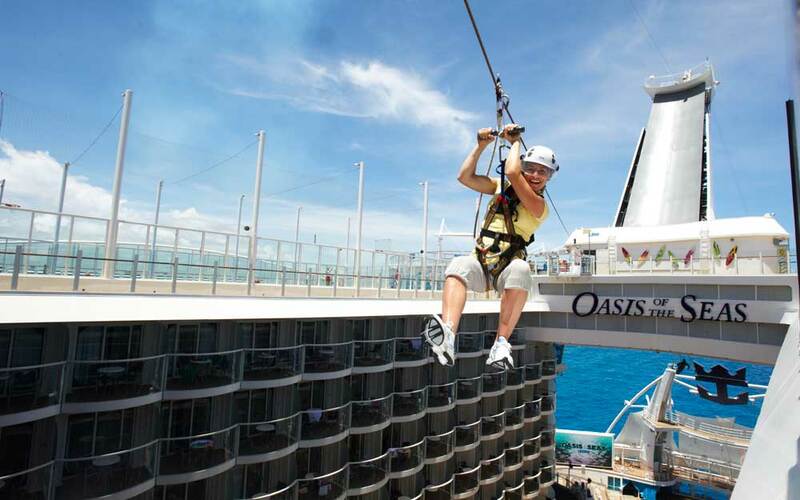 Check carefully when booking a cruise, as each ship offers a different variety of amusement attractions & restaurants. 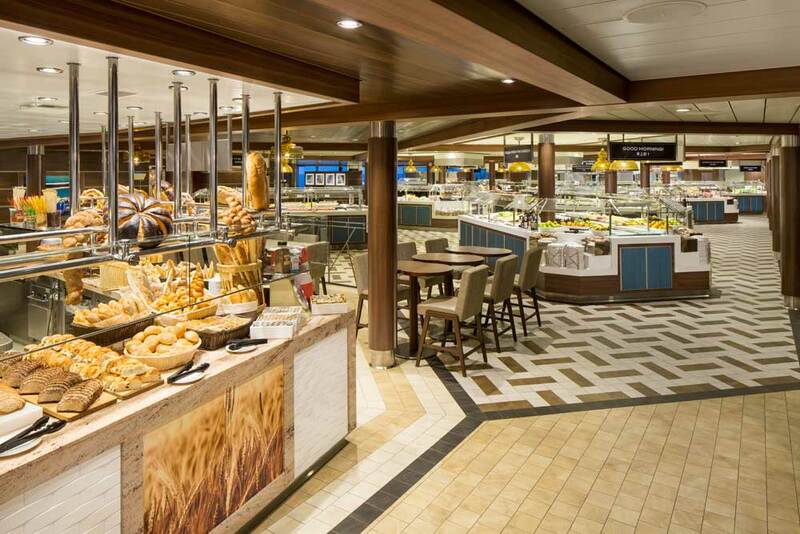 Royal Caribbean’s central focus is the Caribbean, especially for its newer Oasis Class ships. 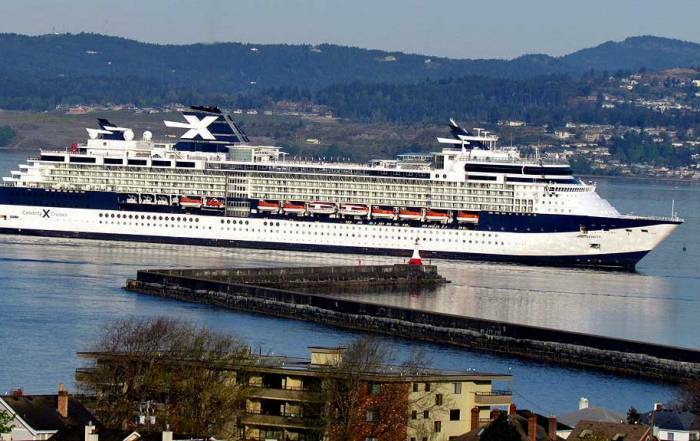 On Alaska cruises, they also offer land based Cruisetours of Canada and Alaska. 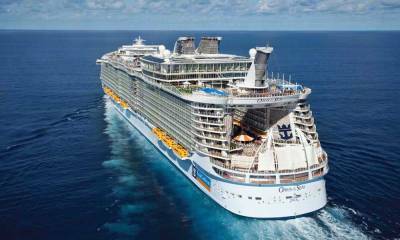 The Royal Caribbean Fleet also operates in Asia, China and Europes. Broadway at Sea, AquaTheater outdoor shows, Ice-skating productions and parades featuring DreamWorks characters. Laundry and Dry Cleaning Services No self-serve laundry. Royal Caribbean offers 4 types of staterooms: Suite/Deluxe, Balcony, Oceanview and Inside. 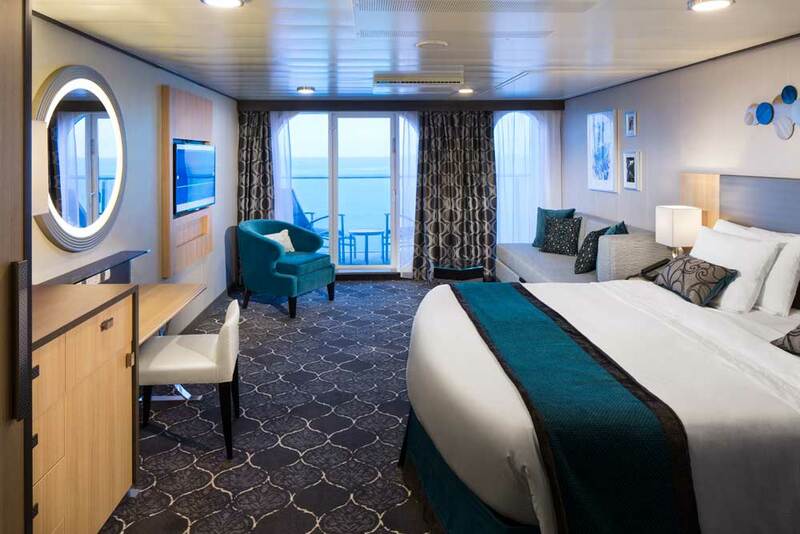 There is a minimum charge of two adults for each stateroom. 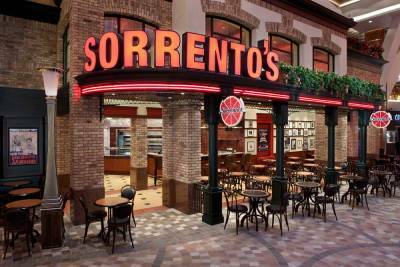 Main Dining Room – Breakfast, lunch and dinner with My Time Dining flexibility. 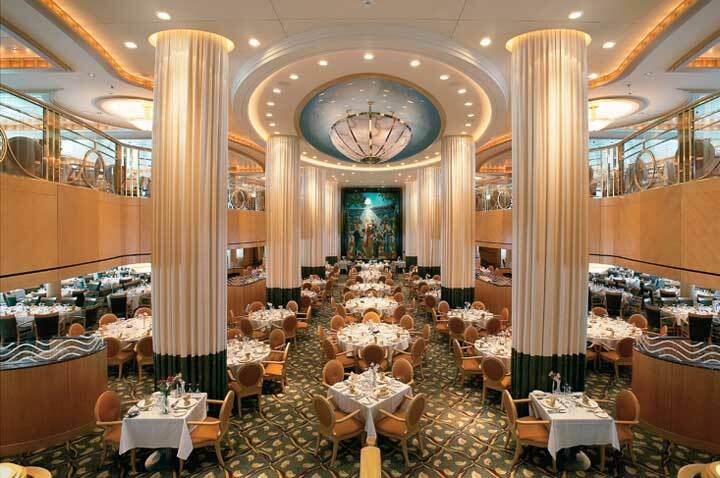 Brasserie 30 – lunch on sea days. Windjammer Cafe – 24 hour buffet service. 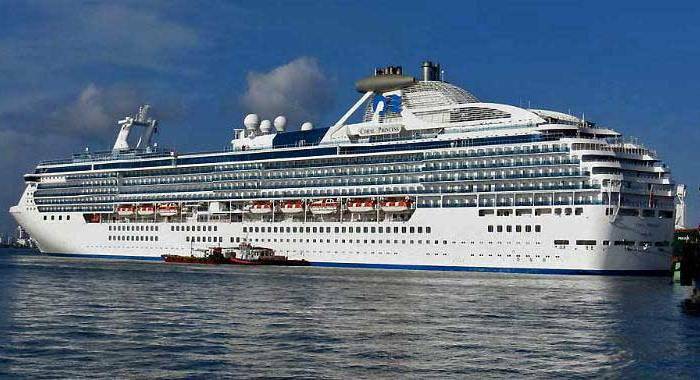 Alcohol Policy – Guests are not allowed to bring beer, hard liquor or non-alcoholic beverages onboard for consumption or any other use. Guests may bring personal wine and champagne onboard only on boarding day, limited to two (2) 750 ml bottles per stateroom. A corkage fee applies to personal wine consumed in public areas. Smoking – Cigarette, cigar, e-cigarette and pipe smoking is permitted in designated outdoor areas and in designated areas of the casino. Gratuities – Established rates are applied to final billings based on stateroom type, but can be adjusted by visiting the Purser.